Too many cooks can spoil the broth, but not when it comes to cookery and recipe websites. There are so many dishes to go around. 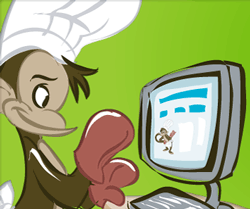 To the soup of websites which are helping us become better cooks each day, let’s welcome Kitchen Monki. Kitchen Monki is a recipe management website which tries to answer the question – how different can a recipe management website be from the similar ones in its stock? After all, aren’t they all about uploading and sharing recipes. Yes, a recipe website’s main wealth is the number of dishes it can help you serve up. 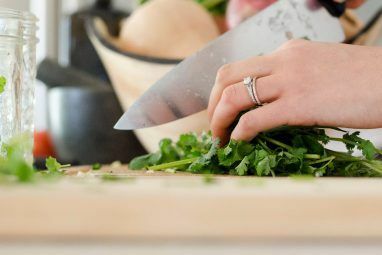 But as some of the successful cooking websites The 7 Best Online Cooking Guides for the Beginner Cook The 7 Best Online Cooking Guides for the Beginner Cook You can learn how to be a great cook. These cooking guides for the beginner cook are few of the best places to start. Read More covered earlier show, it’s also in the tools that make the job of cooking fun and easy. What does Kitchen Monki bring to the table? Bring your pots and pans. Let’s see what’s cooking at Kitchen Monki. Cooking is fun for some, while a chore for others. 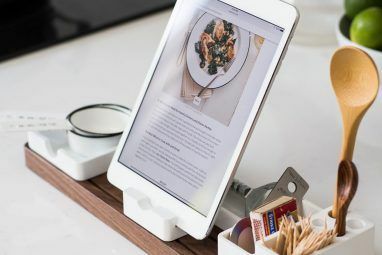 Kitchen Monki as a web app helps to organize your cooking tasks by providing a place to hold all your recipes. Cataloging all your recipes in one place also allows you to take Kitchen Monki’s help in preparing a shopping list from the ingredients. Finally as a social site for foodies, you can tap into all the public recipes as well as those shared by your friends. If you have just logged into a fresh account, you can start by decking up your profile page. Me”¦I headed straight to the Recipe Explorer. The Recipe Explorer looks quite similar to iTunes. 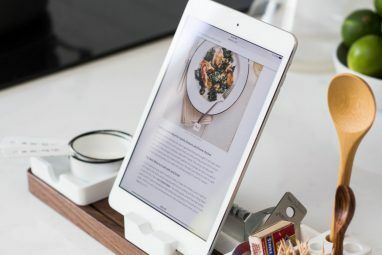 It’s not mere window-dressing as the iTunes-like interface lends a lot of user-friendliness to the task of searching through the lot of recipes. Think of the recipes as individual MP3 arranged in your music library. Recipes are listed and can be sorted by Meal, Course, Cuisine, and Time. The Categories and Filters on the left-hand column help to further drill down to the numerous recipes that are in Kitchen Monki’s catalog. For instance, a harassed single parent shouldn’t miss the Time to Cook and Mood categories for preparing some quick bites. The Quick Filter box is where you can type in an ingredient and drill down to the recipes. Then there’s the mandatory large search box if everything else fails (but it shouldn’t). Queue /De-Queue – This tells Kitchen Monki that you are thinking of preparing the dish. The ingredients required go into the Kitchen Monki Grocery List Manager which prepares your shopping list. Add to Plan – If you cook a dish at regular intervals, you can add it to a calendar and plan out your meals. The Meal Planner tool is built around the calendar. Add to List – This is your automated grocery list”¦a single click adds the ingredients with the proper quantities. If you like to print out your recipe and stick it on the kitchen wall, click on Print. Sharing is another way to spread the good word around. You can also embed a recipe in your own blog. There are two things I really liked about the detailed view (apart from the banana ratings). The steps are neatly demarcated with each step’s ingredients placed alongside. The serving size can be adjusted and the ingredients changed accordingly. The automated grocery list though takes the original ingredients before adjustments. You can select meals by preparation time from the Recipe Explorer itself or take the help of this tool. Select from the dropdowns and you have a quick fire recipe in your hands. Got grandma’s secret recipe for a delicious sauce? Add (and share) it with the help of the Recipe Creator. There are quite a few fields to fill out but when it comes to cooking the beauty lies in the details. The other reason is that at Kitchen Monki, the recipe helps drive your shopping list tool, the USP of the web service. This page is like a simple itemized shopping list. But the automated and quick add features make this Kitchen Monki’s most powerful tool. The ingredients in your recipe find a place here. Common ingredients from multiple recipes find a place in the combined ingredient list. The Quick Add feature is for adding extra items that don’t come from the recipes. You can always edit the list. Kitchen Monki keeps track of all the stores at which you shop and can print separate shopping lists aisle by aisle for each store. You can search for a store using Kitchen Monki’s Select a Store search feature. With the list finalized, you can also send the specially-formatted list via SMS to any mobile phone in the U.S. Items can be ticked off in the mobile list with each item bought. Your shopping just got a lot more intelligent. On Kitchen Monki you can seriously “˜break bread’ thanks to the large social circle around food. Kitchen Monki is well connected with Facebook’s API. If you love anything that’s a food, check out the blog and the Cooking News section. I have rambled on for quite a while, and still have had to leave out a few tiny details. Do a bit of your own recipe exploring and let us know if you think that Kitchen Monki is the complete recipe management website you were looking for. I have never thought of using a recipe management site, but it seems like a good idea. as mentioned above, if you could also use it to create a mini shopping list that would be fab too. I prefer Plummelo for recipe mangement. It was pain trying to add a custom recipe or to add a recipe from another website with Kitchen Monki. With Plummelo, I can just cut and paste, plus the inputting for adding a custom recipe is a lot easier.